Most runners training for the marathon are averaging anywhere from 9 minutes to 12 minutes per mile on their long runs (3:45 to 5-hour finishing time). At a pace of 10 minutes per mile, a runner will take roughly 3-hours and 40-minutes to finish a 21-mile run. The total amount of time on your feet during a 3 plus hour run will break down the muscles and completely exhaust you, which leads to a significant delay in recovery time and means you can’t complete more marathon specific workouts throughout the following week, which I believe are a more important component to marathon success. Furthermore, your body doesn’t see a significant increase in training benefits after running for 3-hours. The majority of physiological stimulus of long runs occurs between the 90 minute and 2:30 mark. To add insult to injury, running for longer than 3:30 significantly increases your chance of injury. Therefore, you’re leveraging some very slight training benefits for increased fatigue and injury risk. Instead, it’s better to string out the workouts and mileage over the course of the week, which increases the total amount of quality running you can do along with decreasing the potential for injury. I recommend shortening your long run to the 16 to 18-mile range and buttressing it against a shorter, but steady paced run the day before. This will simulate the fatigue you’ll experience at the end of the race, but reduce your risk of injury and excess fatigue. I also recommend this practice for the half marathon distance. By adding a steady run the day before the long run, you can simulate late race fatigue without having to run the full distance and teach your body how to finish strong and fast. In addition, when you have shorter long runs, you’re able to increase the total quality and quantity of tempo and aerobic threshold workouts throughout your training week. Developing your aerobic threshold is the most important training adaptation to get faster at the marathon distance because it lowers the effort level required to run goal pace and teaches your body how to conserve fuel while running at marathon pace. Finally, with a focus on shorter, more frequent long runs, you can implement faster training elements, such as fast finish long runs and surges, which allow you to increase the overall quality of your runs. These fast finish long runs and surges help you increase the pace of the overall run, get you familiar and adapted to running marathon pace while tired, and also increase your body’s ability to store and use fuel more efficiently. When I first discuss this concept with many veteran marathon runners, or new runners who are getting advice from their marathon-seasoned friends, they always counter with what do the elite marathoners do for their long runs (males running under 2:18 and females under 2:30). While some runners do run over 22 miles, there are not as many as you might think, and it usually only occurs once in a training cycle. More importantly, elite male runners typically run their long runs at between 5:30 and 6 mins per mile on average. This means a 22-mile run might only take them a little over two hours. As we’ve discussed, it’s the 3-hour barrier that produces the significant increases in fatigue. While these sessions are tough for the elite runner, they typically recover fast (it helps that they devote their lives to running and have ample time to sleep, eat right, and get massages). When you balance out the gains you can get from finishing a long run fast and upbeat with the negatives from an extended long run, you can see why a shorter, faster long run is the better training option for almost all marathoners aiming to finish over 3:30. Download your FREE Long Run Pacing Calculator now in your members-only download section. 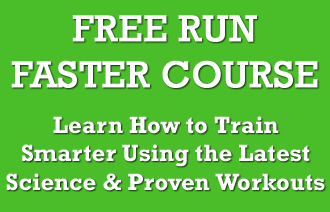 Need help converting your race times to your optimal easy and long run pace? Download our FREE calculator and we’ll do the math for you. Very good reasons which make a lot of sense. I am new to Marathons and ran my first in NY last year (3.33). The last 4 miles were hard ( as is well documented) but having never run that distance before i experienced pain in my abductors which I have never had before in half marathons or in the training when I ran 22 miles. I totally get what the article says, but it is only considering training from the “technical” side rather than putting it all together and seeing if all the elements hold together for the whole distance. I’m currently training for my first 50m ultra, and your sentence “running for longer than 3:30 significantly increases your chance of injury. Therefore, you’re leveraging some very slight training benefits for increased fatigue and injury risk” really worries me. Is this true? My training plan includes many long runs that surpass the 3:30 mark and I would hate to be sidelined by an injury from overtraining. By training for a ultra marathon, you are always going to be at a higher risk of injury, but your pace should slow to accompany that. As long as you are making sure you are running easy for your longer runs, you should be okay. This post was written about marathons, rather than ultras, and we are still researching the injury risks of ultras, so keep checking for updates. It would be impossible for you to prepare without running extremely long runs, so you are doing all you can. As long as you are completing strengthening exercises to prevent injuries, that is all you can really do to prepare. Hope this helps! What if I am aiming for a faster finish, such as a sub-3 hour marathon? Within the 3 hour barrier, I can cover 24 miles with relative ease. So I think a couple of 24-mile runs would still have value in testing out the race strategy and give me mental readiness for the actual race. I’m curious what % of total weekly miles your long run should be. I’ve heard 30 – 35% Is there any research to back that up? Your number does sound about right though, will check on the research for you! This is great info and has me rethinking some of my long runs. How about for runners aiming to finish right around 3:30 or 3:25? I’ve built a good base over the last 18 months and recent race times prior to marathon training were 1:31 for HM and 19:39 for a 5K. I’m training for Chicago. My long runs have been around an 8:36 pace (only up to 16 miles so far). I live in South Florida so I’m trying to go about 10-15% slower to account for the summer heat and humidity. The weather will be almost exactly the same everyday from now until October so I can tell you that my long runs at 5AM will start around 75F / 100% humidity and finish at 80F / 90% humidity. Would you recommend capping the long runs at 20 miles to keep my runs under 3 hours? Or even go so far as capping them at 18 miles to stay closer to the 2:30 mark? If I do cap the long runs, where would I reincorporate those extra miles? Would I add them to the midweek “medium long runs” of 10-12 miles, to an existing recovery run, or somewhere else? Hi Clark, thanks for reaching out. It is good ou are taking the summer heat into account, and running your long runs at a pace your body can handle. As for your long runs, it is going to depend on how you feel, but I would just have your planned long run as between those miles, if you feel okay, running 9 minutes over will not do you any harm, but if you feel tired/have had a tough week/it is especially hot, cap it at the 20-21 mile mark. As for the extra miles, a midweek long run would be okay if that is what your body is used to, or you could just add one mile here or there to your workout days (longer warm up). Hope this helps, if I have not answered your question, let me know, and I will try and give you more specific information. You may find out podcasts helpful if you enjoy learning about running. Here is the link; https://runnersconnect.net/running-podcast/ We have one with race director of Chicago Carey Pinkowski, which you may find especially helpful! The finish time for my last two marathons has been around 4:30. My goal for the Sept. marathon I’m currently training for is to finish with as little suffering as possible, not to improve my finish time. If I cap my long runs at the three hour mark, that leaves another 1:30 or so that I’ll be out there during the actual marathon. My last 18 miler took about 3:18, and this included a couple of walk breaks. Would you still suggest a 3 hour cap for me?